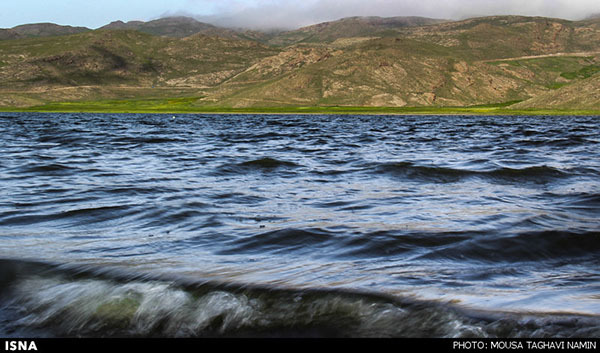 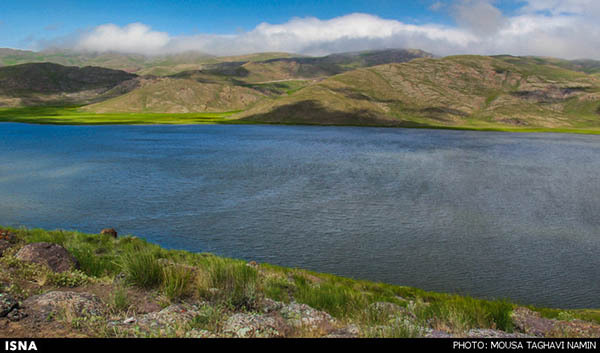 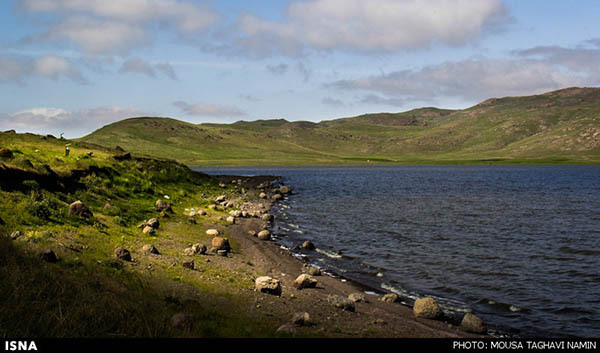 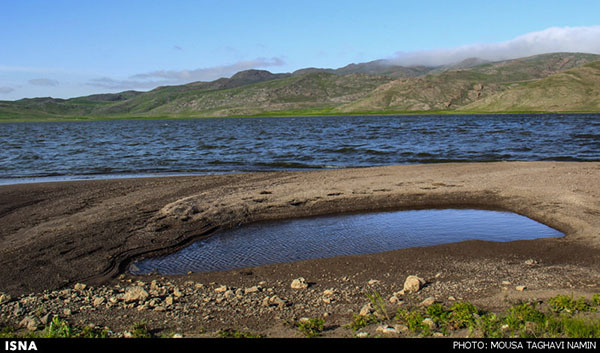 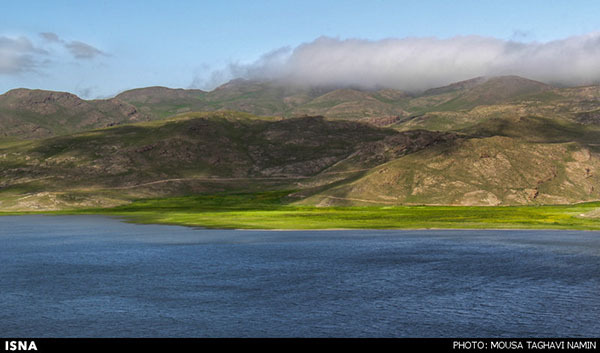 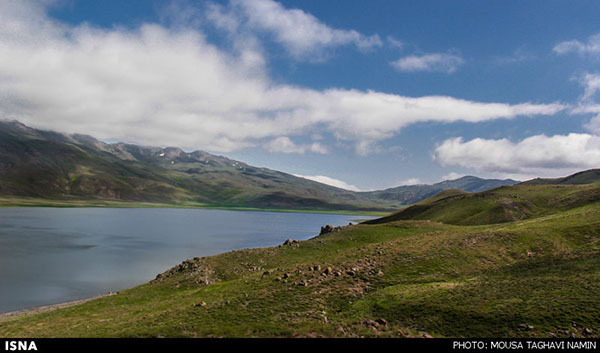 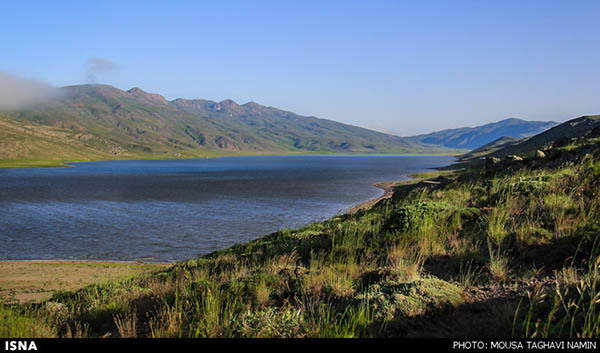 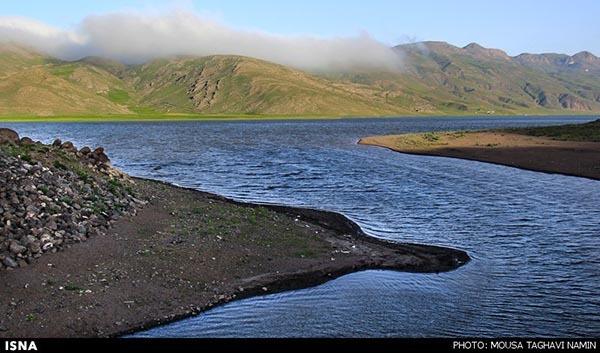 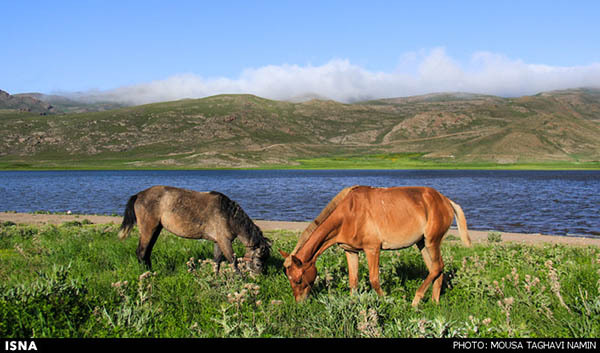 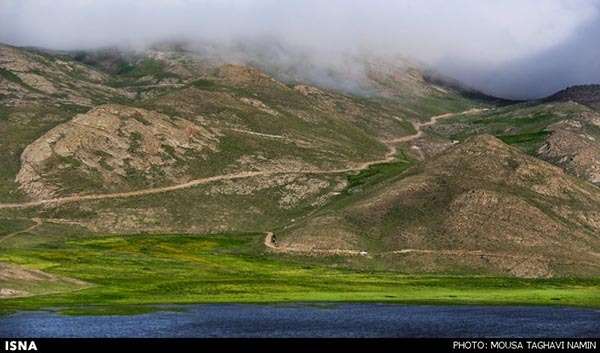 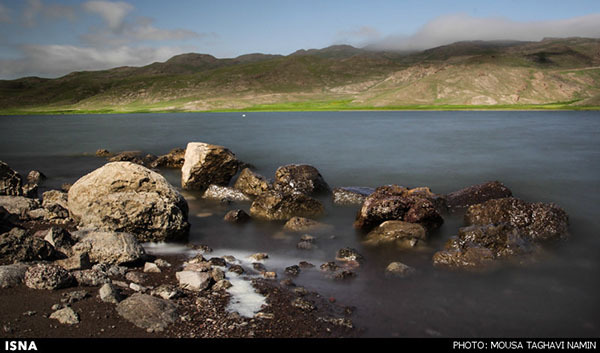 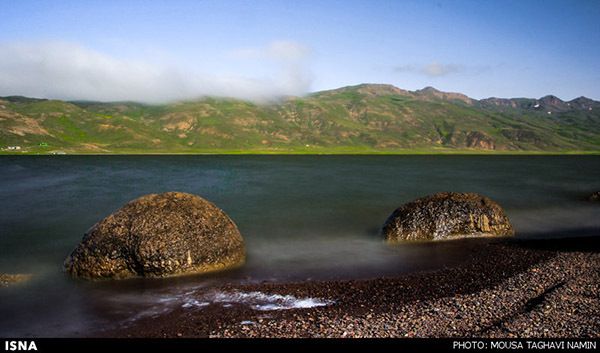 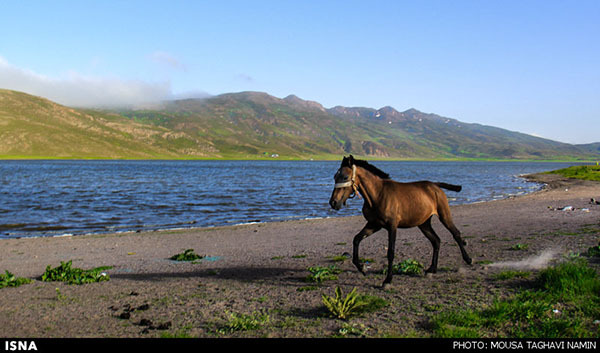 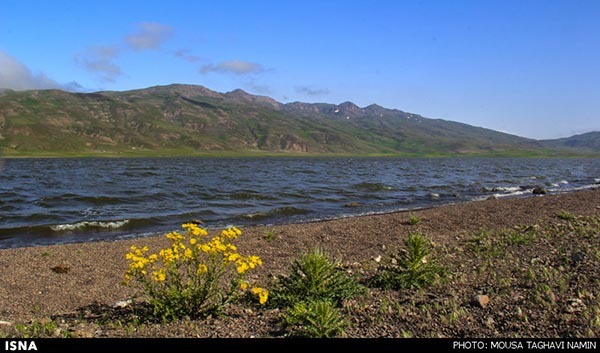 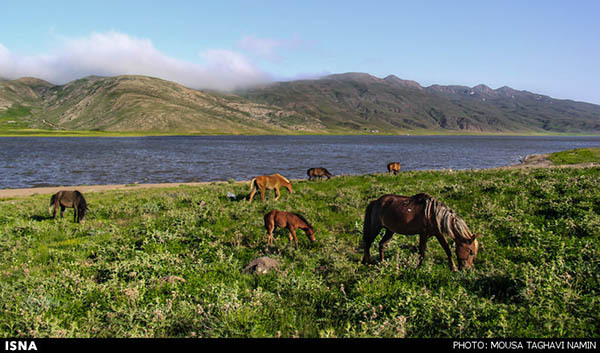 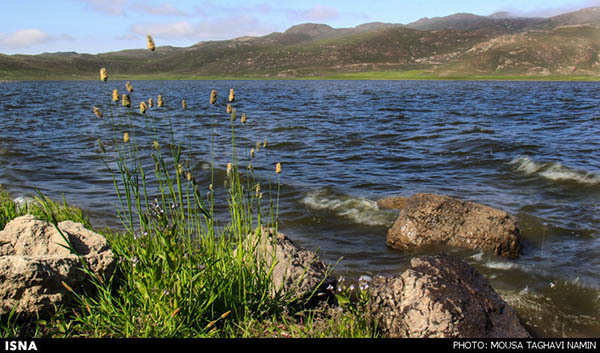 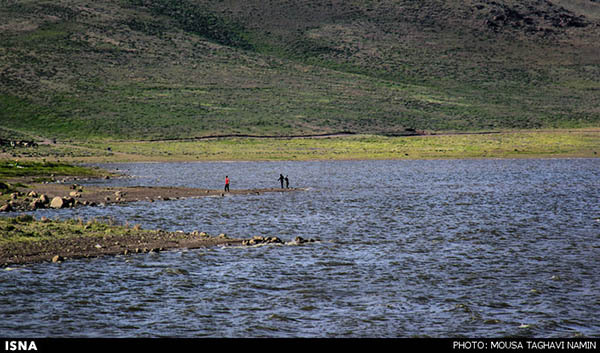 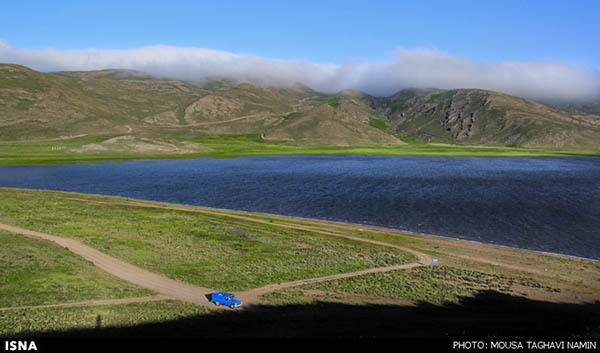 Images of Lake Neor, a body of water which is 210 hectares in area, in northwestern Iran. 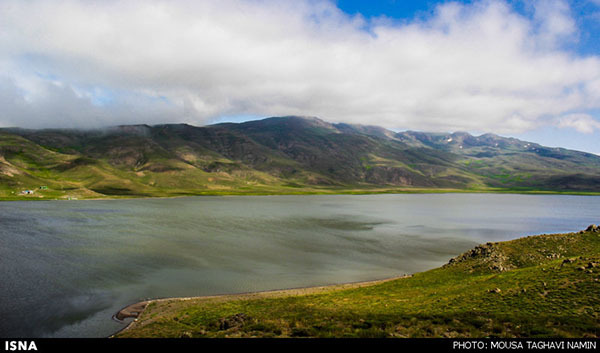 Lake Neor straddles the border of Ardebil and Gilan provinces in northwestern Iran. 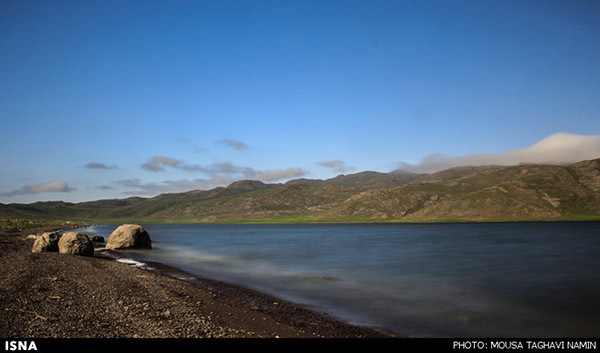 The body of water, which is 210 hectares in area, has an average depth of 50 meters.